The following is an example byway tour that highlight the type of text, routes, and activities that could translate well into a mobile tour. 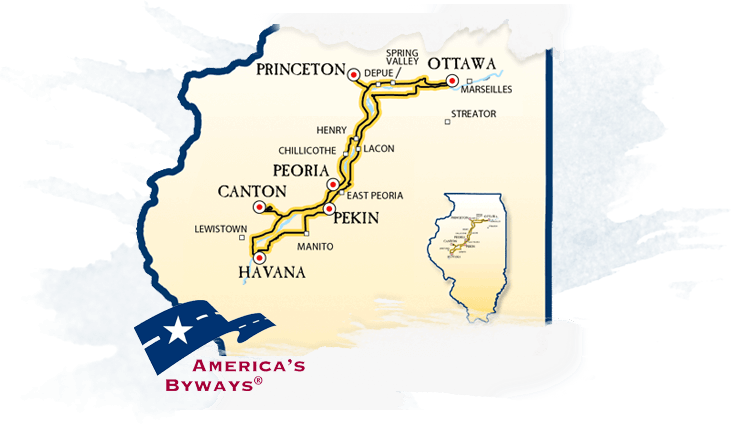 This tour, the “Best of the Byway”is highlighted here. Local maps indicate the locations of stops. 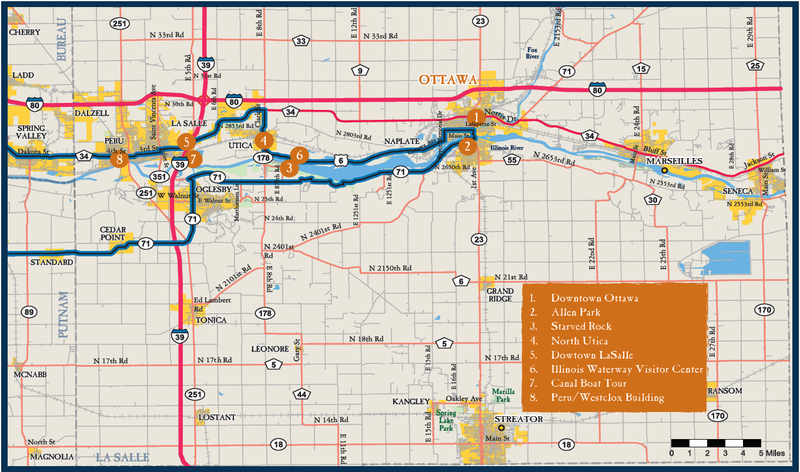 The “Best of Byway” tour offers a stunning scenic drive that mixes historic towns, marvels of modern engineering, and some of the Mid-West’s most picturesque natural spaces. Day 1: Start in Ottawa; end in Peoria. travel time; more with stops. Day 1 takes you to some popular and well-known destinations along the Illinois River Road, including Starved Rock State Park and Peoria’s Grand View Drive—called the world’s “most beautiful drive” by Teddy Roosevelt. Along the way though, you’ll discover hidden gems and forgotten stories about life along the Illinois River and Central Illinois. 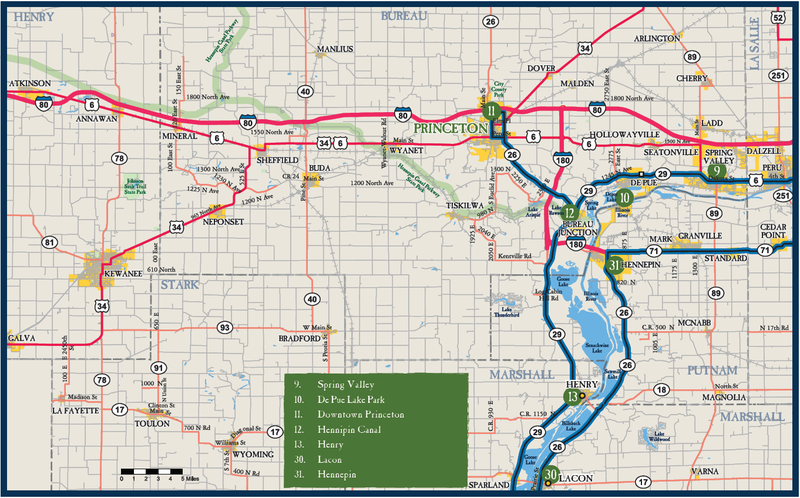 Find out why the Illinois River Valley became a site of innovation in locations up and down the byway. (Eat!) Explore Ottawa’s historic downtown, Reddick Mansion, Radium Girl Statue at Jefferson and Clinton St, and view murals. Ottawa: Located at the conﬂuence of the Illinois and Fox Rivers, Ottawa’s history reﬂects the changes that have taken place along the whole of the Illinois River. 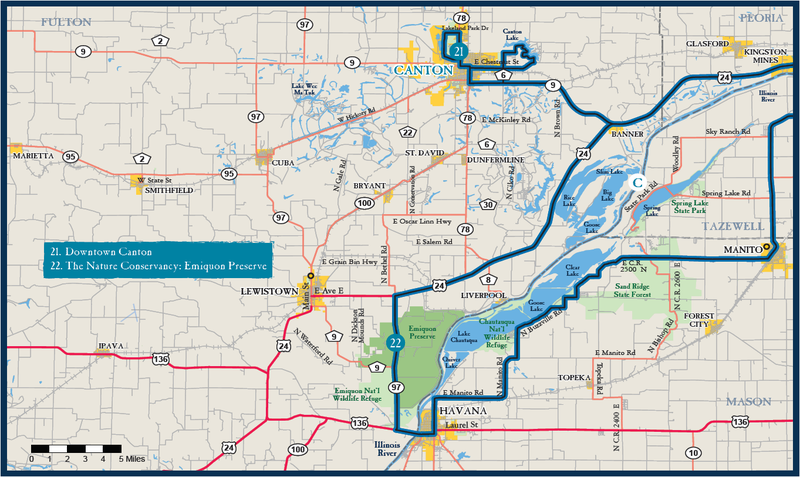 With about 20,000 residents, Ottawa is the county seat of La Salle County and the Illinois River Road Scenic Byway’s northernmost gateway community. 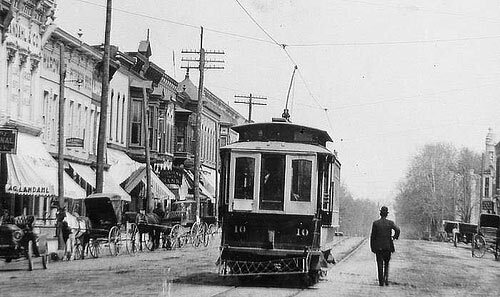 Its position along an important travel corridor meant that Ottawa was a transportation hub with river trafﬁc shaping the community—followed closely by the arrival of the railroad. Its rich history is on display in murals scattered through the downtown, fascinating architectural examples, historic sites, and community parks. Nearby silica mines have provided the glass for automobiles since the days of the Model T while manufacturing in the late 19th and early 20th drew waves of immigrants from Scandinavia, Germany, and Ireland. Best of in Ottawa: Downtown Ottawa and Washington Park: Delight in exploring a historic and charming Mid-West downtown. Sample local delicacies from shops, peruse storefronts, and soak in the pleasant surroundings as you walk along LaSalle and Columbus Street. Be sure to stop by Washington Park and learn about the debates that occurred between Abraham Lincoln and Fredrick Douglas. 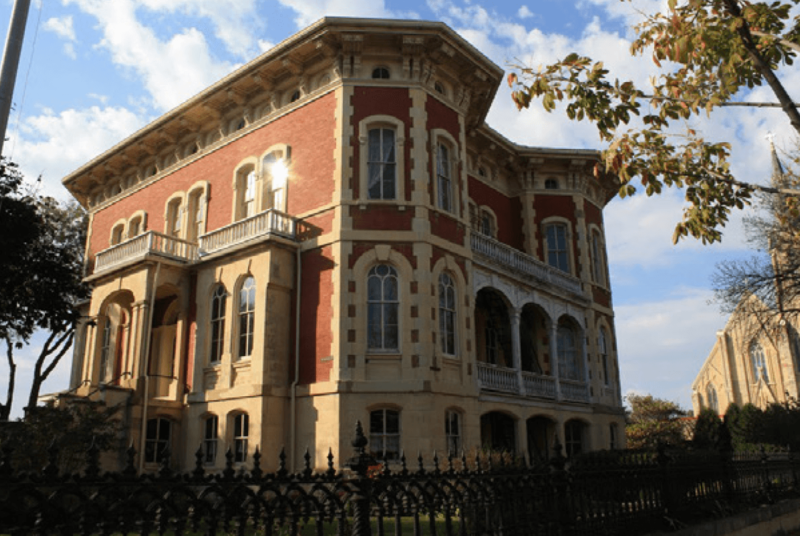 Reddick Mansion: Built before the Civil War, this ornate 50 foot tall Italianate mansion was constructed by William Reddick, a leading philanthropist, businessman, LaSalle County Sheriff, and Illinois State Senator. Standing on the corner of Columbus and Lafayette streets in Ottawa, the magniﬁcent structure anchors the Washington Square national Historic District and remains as a tribute to the architecture, times, and people of a bygone era. Radium Girl Statue at Jefferson and Clinton St: The Radium Girls were factory workers who contracted radiation poisoning from painting watch dials with glow-in-the-dark paint. The women, who had been told the paint was harmless, ingested deadly amounts of radium by licking their paintbrushes to sharpen them. Five of the women challenged their employer in a case that established the right of individual workers who contract occupational diseases to sue their employers. Ottawa Murals: A Brush with History public art program was developed to help revitalize Ottawa’s downtown and celebrate Ottawa’s past. From Civil War history to murals depicting people that have called Ottawa their home, the town’s colorful murals help to create a sense of wonder and place. Allen Park sits on the south side of the Illinois River, with grand views of downtown Ottawa, a railroad bridge, and the conﬂuence of the Fox and Illinois Rivers. Allen Park hosts several large art sculptures created by artist, Mary Meinz-Fanning, these historical art structures are fashioned from parts of Ottawa’s old Hilliard Bridge, originally built in 1933. The yellow sculpture is named “Reclining” and the red one is known as “Bending”. It was Fanning’s vision that both sculptures serve as a commemoration to the old bridge. Come marvel at their unique construction as you stroll along the river. 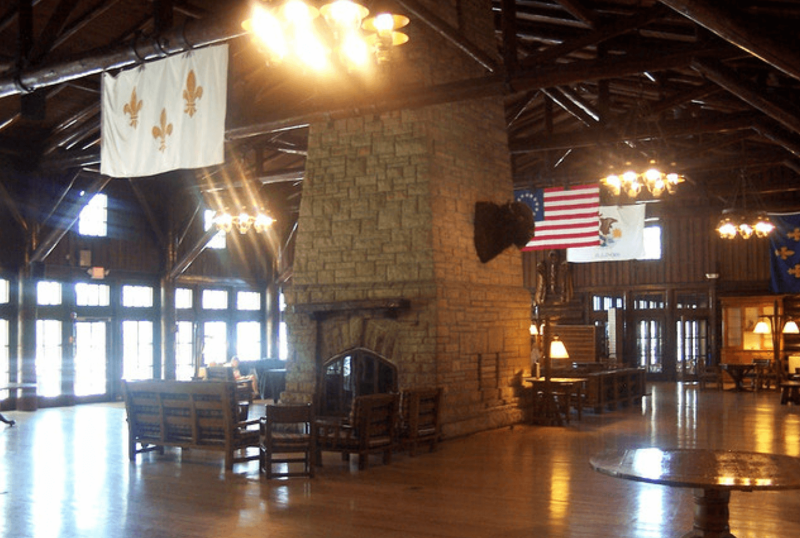 Interior view of the 1930s-era Starved Rock Lodge, built by the CCC. A favorite refuge from urban life, Starved Rock State Park is one of Illinois’ most treasured natural areas. Rising from the banks of the Illinois River, Starved Rock has unique geography resulting from a catastrophic ﬂood (called the Kankakee Torrent) 14,000-17,000 years ago that carved twisting canyons in the sandstone. Starved Rock has an equally impressive human history, with the area across the park being the site of the Grand Village of the Illinois. The area was featured in early European chronicles, explored by French explorer-missionaries, and was the site of a French Fort. In the early 20th century, the area became popular as a hiking and camping destination and has Depression-era buildings and cabins built by the CCC. Another Depression-Era landmark is the Lock and Dam located near the park, which is one of 8 dam complexes that allow ships to travel between the Great Lakes and the Mississippi. The area was designated a National Historic Landmark in 1960. The small, charming community of North Utica has 1000 people and sits along the Illinois River near Starved Rock. Complete with an old stone warehouse designed to store cargo for the Illinois and Michigan Canal, historic downtown block, and 1-room schoolhouse built in 1865 North Utica complements the host of outdoor activities offered nearby. A monument to the French missionary Jacques Marquette graces the town’s Catholic Church. North Utica, or Utica, as it is commonly referred to, became a prosperous town due to mining nearby clay and sand deposits. • (Optional) Illinois Waterway Visitor Center—see barges lifted up (or down) into the river in this 1930s dam & lock. Situated on the banks of the Illinois River, La Salle’s long history dates back to the 1830s, when it served as the southern terminus of the Illinois & Michigan canal. The 6-foot deep canal used mules to power barges laden with grains and manufactured goods and linked commerce on the Great Lakes with that of the Mississippi River. Later, when rich deposits of coal were located, La Salle became an important coal-mining and zinc processing center. Waves of Irish and German immigrants throughout the 19th century helped the town grow. Labor unrest in the late 19th century led to large-scale strikes and occasional violence. The historic downtown retains much of its 19th century charm while several attractions—including a working mule-pulled canal boat—are well publicized. 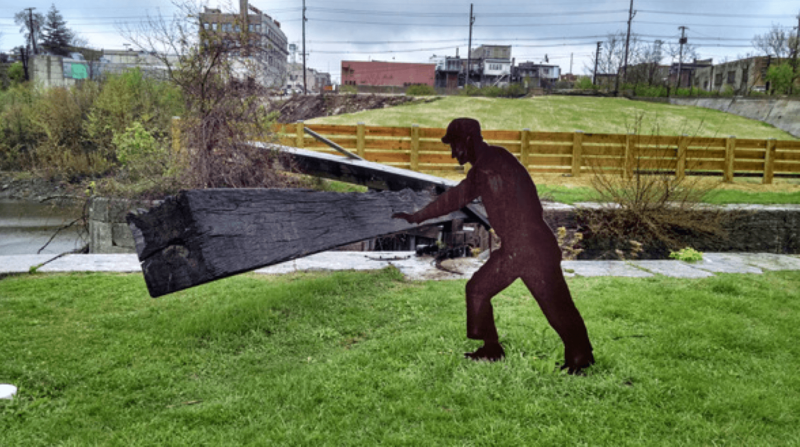 Existing interpretive exhibits and art help visitors experience the old I & M Canal in La Salle. A barge passes through the locks in front of the Illinois Waterway Visitor Center. The Illinois Waterway Visitor Center allows visitors a ﬁrst-hand look at ship and barge trafﬁc moving up and down the Illinois. Just steps away from the lock and dam, you can see for yourself how the properties of water can lift or set barges weighing dozens of tons. Explore how workers and engineers designed and built this important lock and dam in the 1930s. You’ll also learn fascinating details about the history of water navigation along the Illinois and its importance to the region. The LaSalle Canal Boat Tour is a mule-pulled, full-size replica of the 19th century canal boats that once plied the waters of Illinois and Michigan Canal between Chicago and LaSalle. This 76 ‘ x 15 ‘ boat is manned by an interpretive operator that regales visitors with stories and the history behind the animal powered transportation history of the I & M canal. The nearby Lock 16 Center hosts additional materials—as well as byway essentials like caffeine and snacks—and is where tickets to the canal boat tour can be purchased. Much like its twin city (La Salle), Peru’s history is tied to the development of river trafﬁc, coal mining, and zinc processing. In the late 19th century, Peru became home to a large clock factory, Westclox, which produced millions of alarm clocks (and other time pieces) that found their way to bedsides all over the world. Today, Peru is still home a large manufacturing base, including the country’s only nail manufacturer—a legacy of the zinc industry—and a chemical processing facility. In addition to Peru’s industrial history, Peru’s residents have also distinguished themselves on the world stage. Violin virtuoso Maud Powell was the ﬁrst American to gain international acclaim and dazzled audiences worldwide with her performances. Later, recordings of her performances helped to elevate Classical music in the United States. Byway travelers will not be able to miss the massive and ornate Westclox building as they travel through Peru. 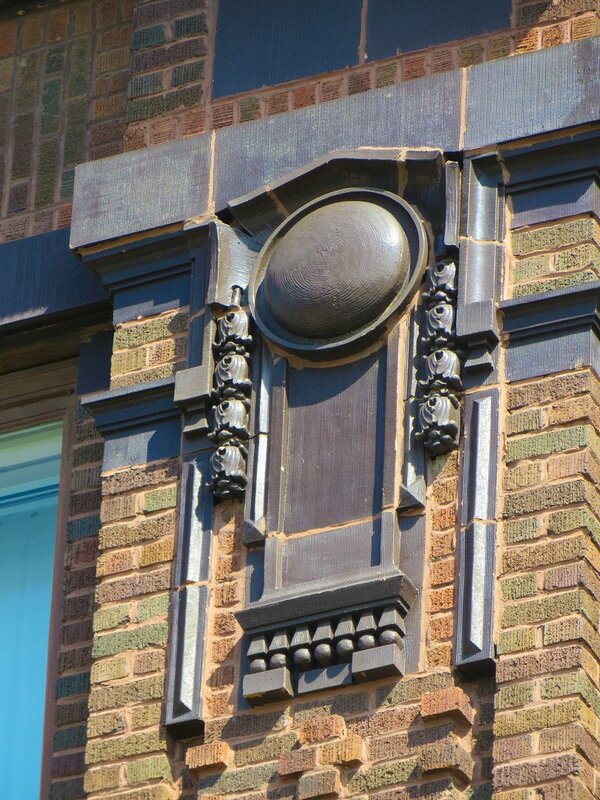 Designed as a state-of-the-art manufacturing facility in 1910 that produced highly accurate time pieces, the Westclox building is a marvel of form and function. Although partially destroyed by ﬁre in 2012, the site still retains an impressive character. Detail of the Westclox factory. Located next to Peru, Spring Valley owes its existence to nearby coalﬁelds. Originally a company town, Spring Valley sprang to life as a planned community in 1884 and was meant to house coal miners. Coal barons provided $2.5 million dollars to outﬁt the town equipping it with exceptionally wide streets for the time. After just 4 years, the town had swelled to over 3,000 people. The surge of people looking for work—coupled with poor working conditions—provoked an outbreak of racial violence and worker strikes. The hardscrabble conditions of early Spring Valley, disruptive as they were, fostered a tough work ethic for its residents. In fact, one resident, Billy Papke also known as “The Illinois Thunderbolt”, eventually became a World Middleweight titleholder in 1908. • Description of the “Big Bend” in the Illinois River and the difficulties of navigating barge traffic along the river. Inventive uses of water and zinc led to the creation of the town of DePue. Today, that same spirit of ingenuity is on display, this time, for the very survival of the community. 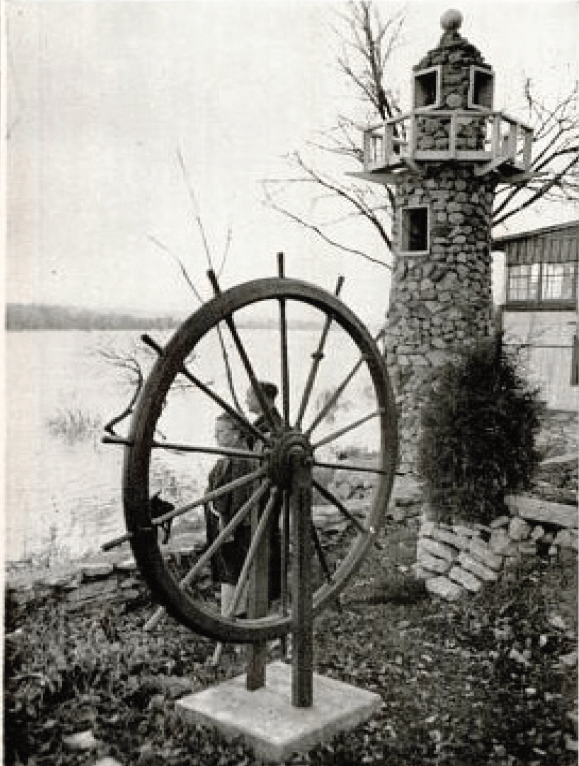 Located next to Lake DePue, a slough off of the Illinois River, early residents started a trend of maintaining close contact with the water. They fished for food and, during the winter, carved huge blocks of ice out of the relatively shallow and placid waters of the nearby lake. The ice would be sold to locals and nearby towns to keep perishable foods longer during the spring and summer. 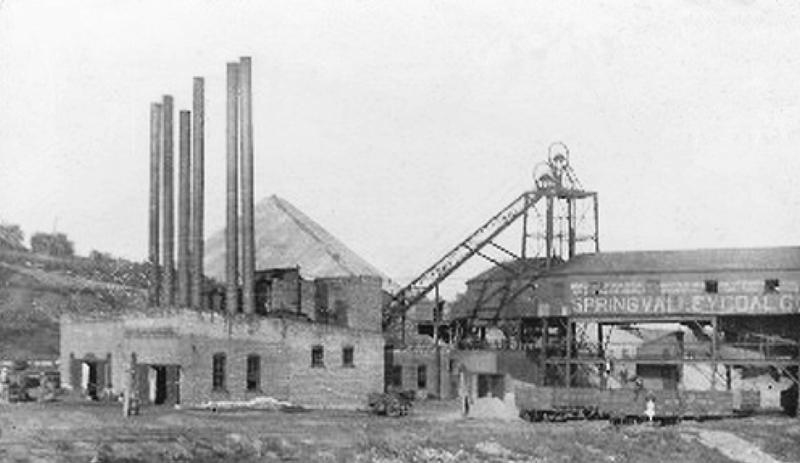 Later, zinc refining became the main industry, with zinc ore being brought to the town on barges and then refined at large zinc processing plants, like the New Jersey Zinc Plant. The zinc would find its way in coatings and paint to protect against rusting. In the decades of operation though, the zinc plants produced thousands of tons of waste, including a 750,000 ton zinc slag pile, which residents are fighting to get rid of. Set among the prairies, Princeton’s historic downtown is evidence of its prosperous history as area pioneers tamed the prairie and brought it under cultivation. Its main street is lined with historic commercial buildings while several residential districts are graced with excellent examples of Victorian architecture. Trolley moving through Princeton's Downtown. In 1890, the nearby Hennepin Canal (now a 105-mile park) was constructed and either pioneered or refined canal technologies that would be later used during the construction of the Panama Canal. The town’s railroad station, a functioning historic covered bridge, and proximity to the nearby freeway are a testament to Princeton’s role as a transportation hub. During the mid 19th century, Owen Lovejoy, a determined abolitionist, used his Princeton home (now a National Historic Site) and other Princeton residences as a major stop on the Underground Railroad that helped to usher runaway slaves to northern states and Canada. The Lovejoy House was the home to abolitionist and later, US congressman Owen Lovejoy. The Lovejoy house, now a museum and National Historic site, was a stop on the underground railroad, which helped usher escaped slaves to their freedom in Northern States and Canada. It features period furnishings, interpretive materials, and a tour of the site. Princeton’s historic Railroad Station continues its role as a hub for travelers and commuters alike. Opening in 1911 and originally serving the Chicago, Burlington & Quincy Railroad, the station has recently been renovated. Its architecture reflects a common style of train stations built at the time—especially in the Mid-West. The arrival of the railroad and the easy connection to Chicago and points east created another rail rival to the barge traffic along the Illinois. The park next to the station is named after Darius Miller, an early president of the Chicago, Burlington & Quincy Railroad who championed safety measures along railroad tracks. Home to 2,500 people, Henry hugs the western bank of the Illinois River. Named after a general of the Illinois militia during the Blackhawk War, Henry residents have a close connection to the water. 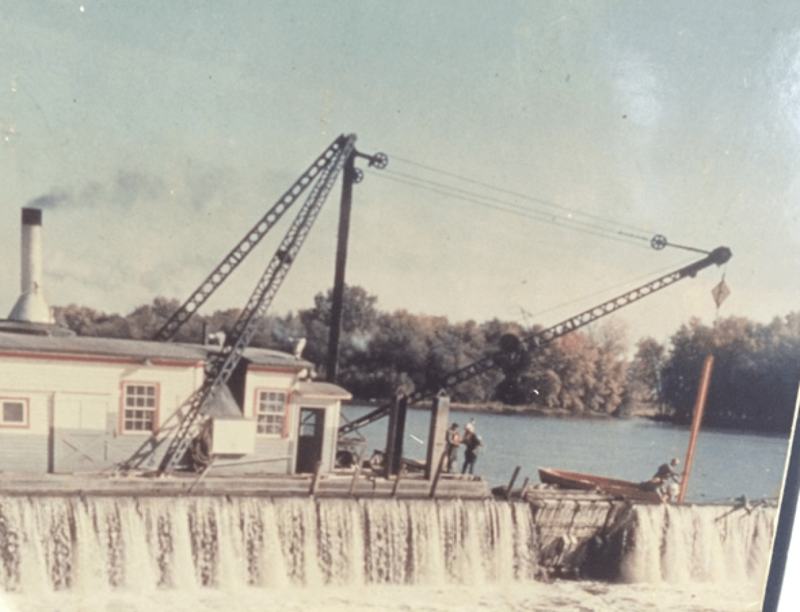 In 1870, the first lock and dam were built along the Illinois River at Henry. This allowed river navigation further upstream. The dam and lock brought a flurry of business as merchants brought wares to sell while farmers—needing cheap transportation for their agricultural products—loaded their goods for shipment. Henry was the birthplace of a World War II submarine captain and Metal of Honor winner, home to renowned wildlife carvers that created beautiful—and functional—duck decoys for hunters, and the residence of “Steamboat Elsie” who spent her days relaying messages to passing riverboats. With 6,000 people and a well-defined downtown, Chillicothe serves as an important hub for rail traffic because it is the site where tracks cross the Illinois River. Railway engineers located the crossing at Chillicothe because the surrounding terrain allows for the most efficient crossing despite a steep grade at Edelstein Hill four miles outside of town. Situated on the west side of the river, Chillicothe’s quaint downtown has an Art Deco theater and a 19th century clubhouse near the river. The town is a major attraction for railfans who enjoy watching the special trains used to negotiate the steep terrain and visit the Chillicothe Historical Society Railroad Museum. Be sure to check out the Zorro exhibit at the Chillicothe Area History Museum too! 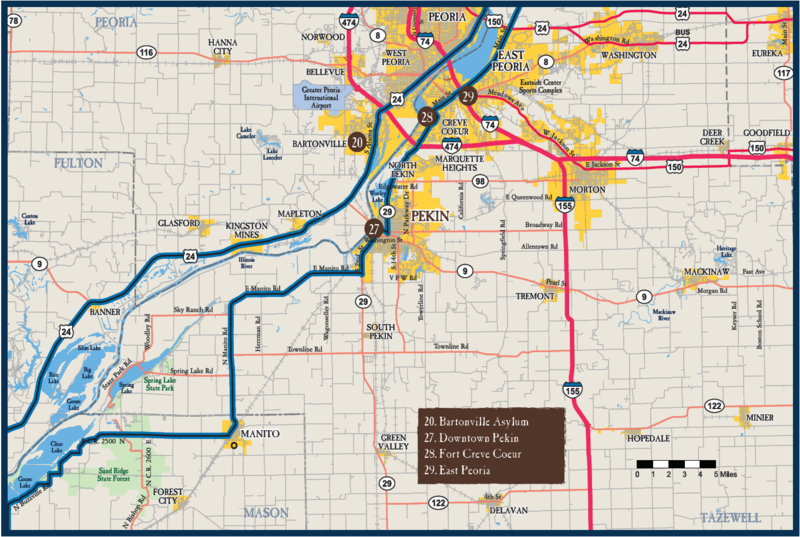 The largest city along the Illinois River, Peoria has long been a center for manufacturing and trade. French explorers established two forts near modern-day Peoria in the 1680s (Fort Crevecoeur) and 1690s (Fort Pimiteoui), which served as trading depots for trappers and nearby indigenous tribes. During the 19th century, steamboats helped to make Peoria a growing community and mercantile hub. The city’s location—roughly halfway down the Illinois River—ensured that a steady flow of salesmen and vaudeville acts came through the town. The saying “Will it play in Peoria?” became the associated with the city to express its typical middle-American tastes. Other innovators, such as scholars from Bradley University or even the Venerable Fulton John Sheen, a Catholic priest that pioneered the use of radio and television in evangelizing, called Peoria home. 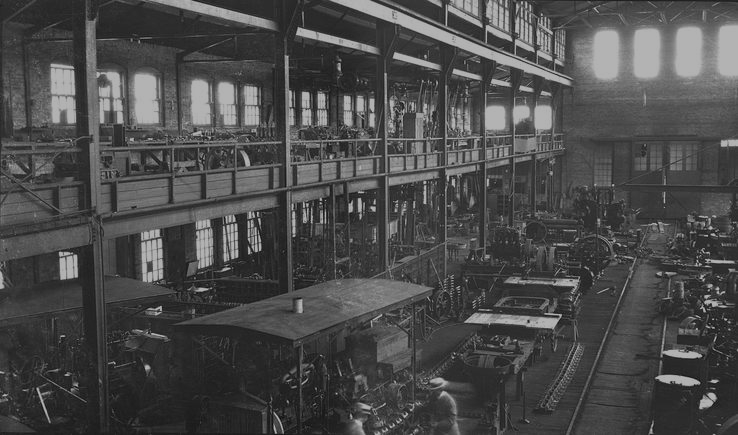 Still home to many industrial manufactures, including Caterpillar, Peoria manufacturers produced over 900 different products during the early 20th century. Another egacy of Peoria’s agricultural and manufacturing background is its distillery history. Large brick buildings still tower over Peoria’s riverfront, a reminder that Peoria once produced the most whiskey in the US. Several historic and cultural attractions continue to bring tourists to Peoria, including its new Riverfront Museum, the Caterpillar Visitor Center, and Bradley University. Local History, Art, and Science converge at this fun and innovative new museum. Discover the history and ingenuity behind one of the most iconic manufacturers in the US. Army Corps of Engineer historic photo of raising the wickets to raise the water level along the Illinois to allow for barge traffic to use the locks at Peoria. Day 2: Start in Peoria at Bradley University. 100 total miles; about 2.25 hours travel time; more with stops. 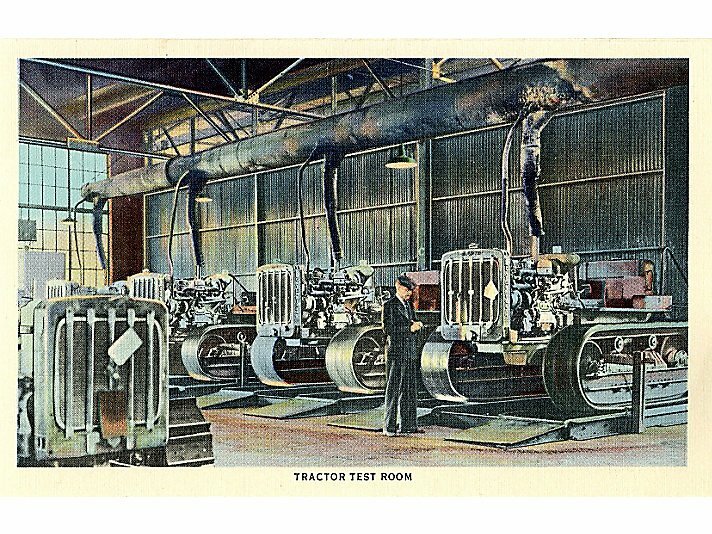 An old postcard depicting Caterpillar’s engine room. Bradley University The first half of Day 2 starts off where Day 1 left off: making things. 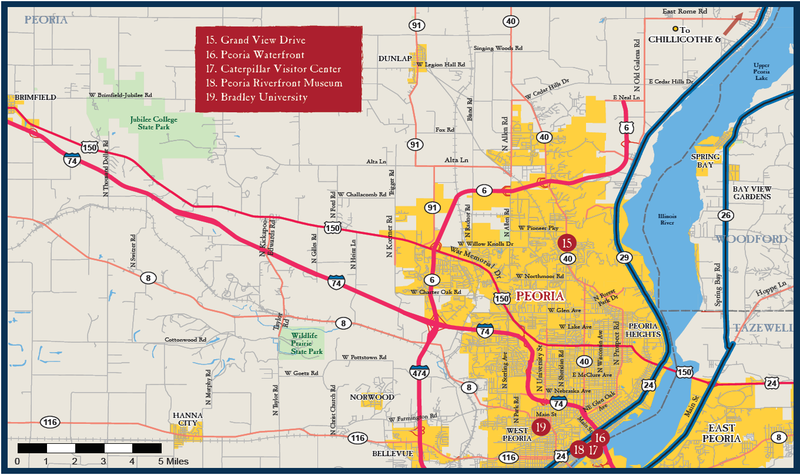 It begins with a tour of major institutions of Peoria, including Bradley University, the Caterpillar Museum, Wheels O Time Museum, and the Riverfront Museum—all of which demonstrate the dual roles that the Illinois River and inventive thinking have played in Central Illinois’ history. On the way out of Peoria, travelers pass a number of huge industrial complexes that tell the story of the rise, fall, and rebirth of several industries—notably whiskey and agricultural equipment. These massive buildings also provide an opportunity to learn about the hidden lives of the people who worked and work in the diverse jobs that anchor the region’s economy. The second half of the day moves away from the industrial and urban setting of Peoria to rural settings. 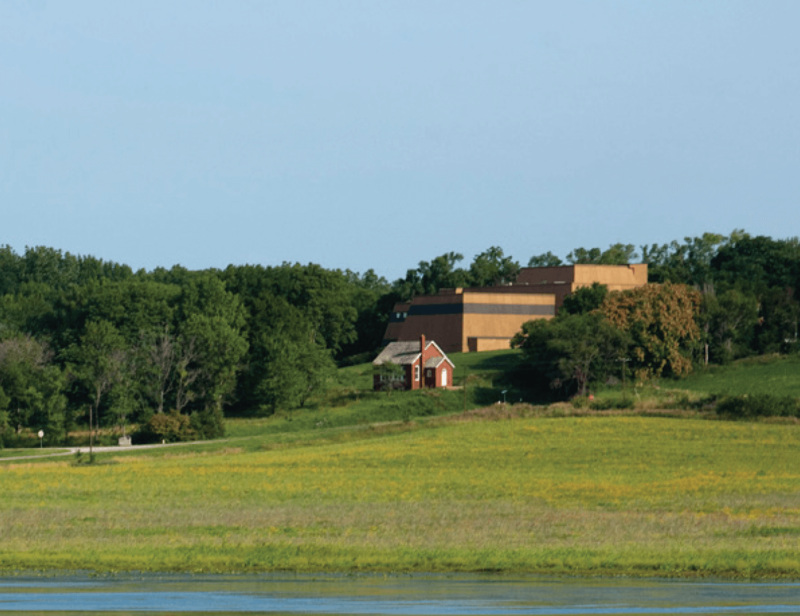 A stop at Emiquon Nature Preserve juxtaposes the region’s surprising environmental diversity. over 650,000 tons of steel wire in a year, Bartonville is still very much an industrial town. building (the Bowen Building) overlooking the entire operation. At Emiquon, view existing interpretive exhibits and listen to/stop at wayside that could interpret the history of the following: Forbes Biological Station, Illinois River Refuge, the Illinois River Biological Station, and the Therkildsen Biological Field Station. 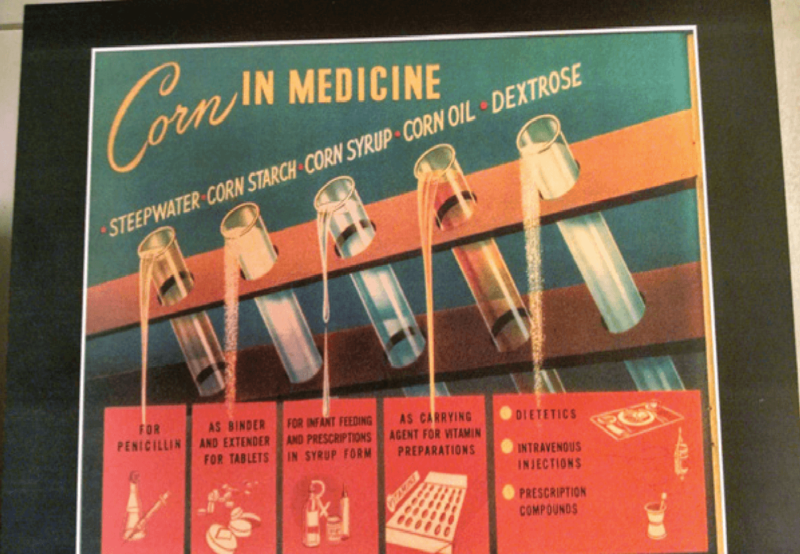 Peoria is home to a national laboratory that finds industrial and medical uses for agricultural products. (Eat!) 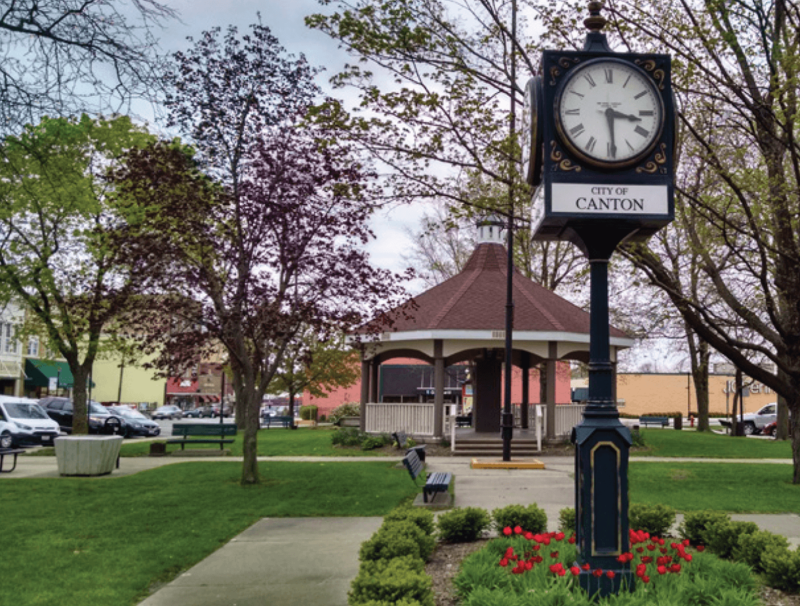 Drive to and explore Canton Once there listen to/stop at wayside (Jones Park) where a potential interpretive sign could discuss the following: Canton/Fulton County History, War of 1812 Volunteers, the Underground RR, Coal Mining, and International Harvester. Elizabeth Magie was born here. Day 3: Start in Canton. 142 total miles; about 3.15 hours travel time; more with stops. Start in Canton Day three begins with a stopover in the idyllic town of Lewistown and then a visit to Dickson Mounds, a world-class archaeological site that intimately connects visitors to thousands of years of history. Travelers then spend the rest of the day in a more rural setting compared with days one and two, traversing the entire length of the eastern bank of the Illinois River, stopping at communities such as Pekin, Havana, East Peoria, Lacon, and Hennepin—each with its own sense of charm and connection to the river. Along the way, a number of scenic and historic sites offer opportunities to explore and discover what makes this area so special. Located near Emiquon Preserve, Emiquon National Wildlife Refuge, and Dickson Mounds, Lewistown is the small and charming county seat of Fulton County. Along Main Street one can still ﬁnd a blacksmith shop and local stores. Nearby are stately homes from the end of the 19th century. Poet Edgar Lee Master, who wrote Spoon River Anthology, an unvarnished look at life in small towns in 1916, lived in Lewistown as a young man and drew from his experiences here to craft his famous work. In the historic Oak Hill Cemetery one can see the inspiration—and many of the names—used in Master’s anthology. 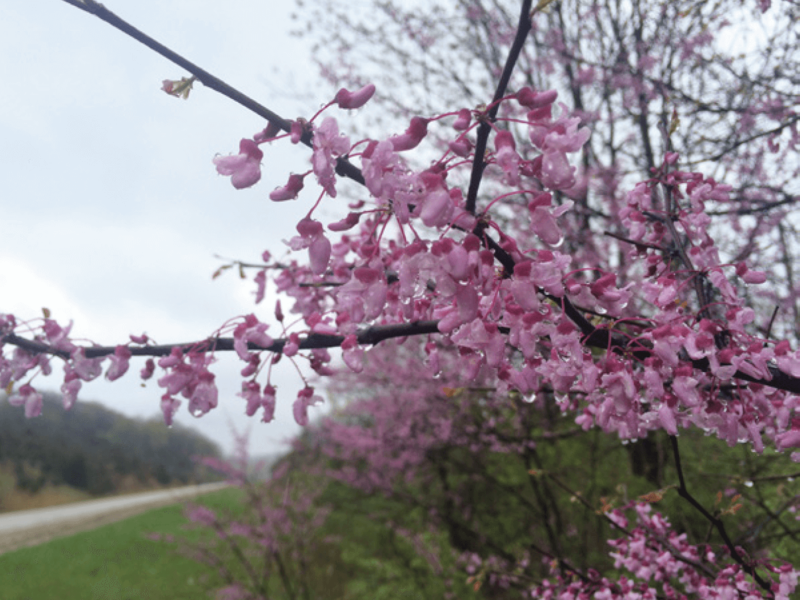 Spring blooms along the byway. With nearly 3,500 people, Havana’s attractive downtown has long drawn tourists hoping to escape the city and enjoy the amenities of an Illinois River town. In the 1920s and 1930s, Havana was a favorite stomping ground of gangsters like Al Capone, who enjoyed coming to Havana to ﬁsh and hunt along the river and gamble in the town’s famous ﬂoating casinos. Parked along the riverfront, these casinos enjoyed the protection of local law enforcement and earned Havana the nickname “Little Reno.” The town’s brick and steel water tower, built in 1889, continues to function to this day and can be seen for miles. For decades, the river around Havana enjoyed huge bounties of ﬁsh and freshwater muscles. It supported four ﬂoating ﬁsh markets and hundreds of jobs—everything from ﬁshermen to button-makers, who punched out buttons from mussel shells with a hole-punch tool. Drive to Pekin Along the way, listen to audio/stop at wayside interpreting the unique geology around Sand Ridge State Forest. 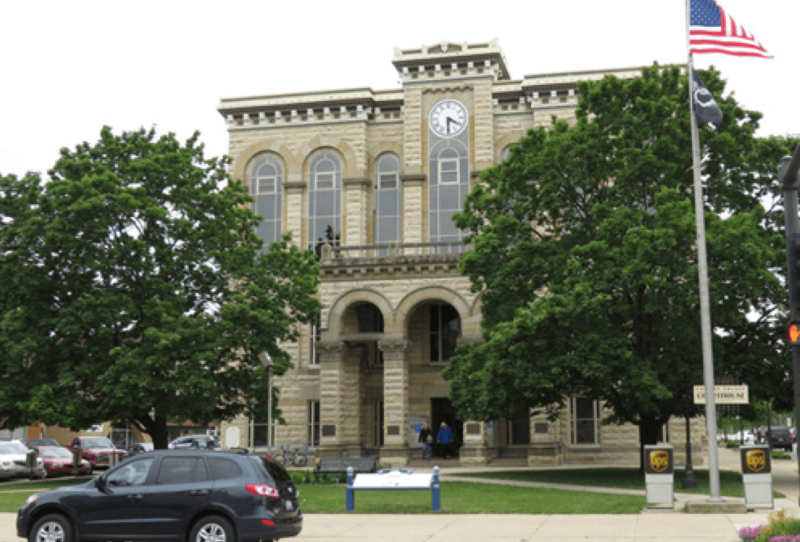 Pekin is a medium-sized community that has all the hallmarks of an Illinois River town: a rich river history, a still-vibrant manufacturing base, and a number of historic buildings and colorful characters. French Explorer La Salle and his 33 men overwintered near Pekin in 1680. Pekin’s rich soils, productive wetlands, and plentiful hunting made it a favorite seasonal settlement site for regional Indian groups. In 1918 Pekin was rocked with news that a steamship, the Columbia, sank in the Illinois River, killing 87 people. The boat had left Pekin laden with day-trippers from the town’s South Side Social Club and workers from the Kingston Mines (a coal mine a few miles south of Pekin on the west side of the river). Later, the town saw the development of manufacturing and has a number of large buildings and homes from the era. A large ethanol plant and grain elevator grace the industrial section of the town near the river. Drive to East Peoria Visit Fort Creve Coeur, to see a modern reconstruction of a colonial French Fort. Featuring a small exhibit hall, the park also contains hiking trails and campgrounds. East Peoria is set among the plains and hills of the east bank of the Illinois River. Originally called Bluetown, residents eventually voted to change the town’s name, ﬁrst to Hilton and in 1889 to East Peoria. East Peoria’s nearby coal seams provided the impetus for the town’s development. Later, locally produced coal-ﬁred bricks produced about 40,000 bricks a day. The arrival of Holt Manufacturing (later renamed Caterpillar) to East Peoria ushered in a new era of heavy industry and thousands ﬂocked to the town in order to work in the new factory. Caterpillar still retains a large presence in the town. In 1927, runoff from the nearby hills caused ﬂoods that wrecked much of East Peoria’s downtown. 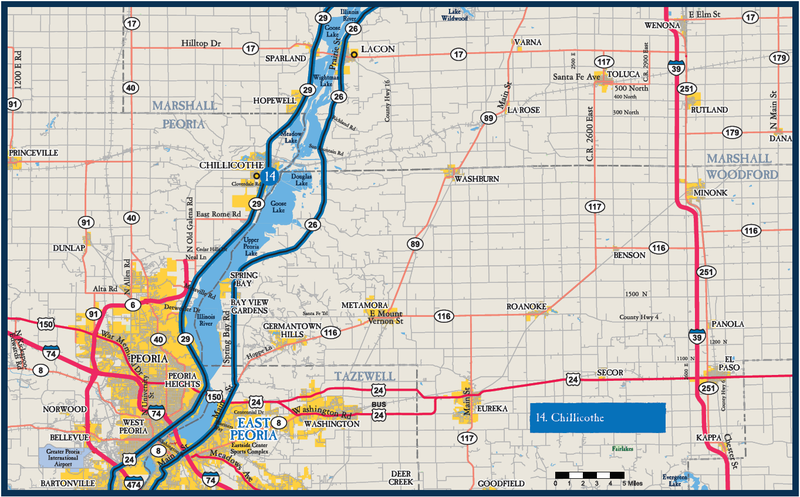 Major roads (I-74) and a rail line connect East Peoria with the west bank of the Illinois River. Holt Manufacturing’s East Peoria plant (later to become Caterpillar) was a beehive of activity for decades, as seen here in this 1910 photo. 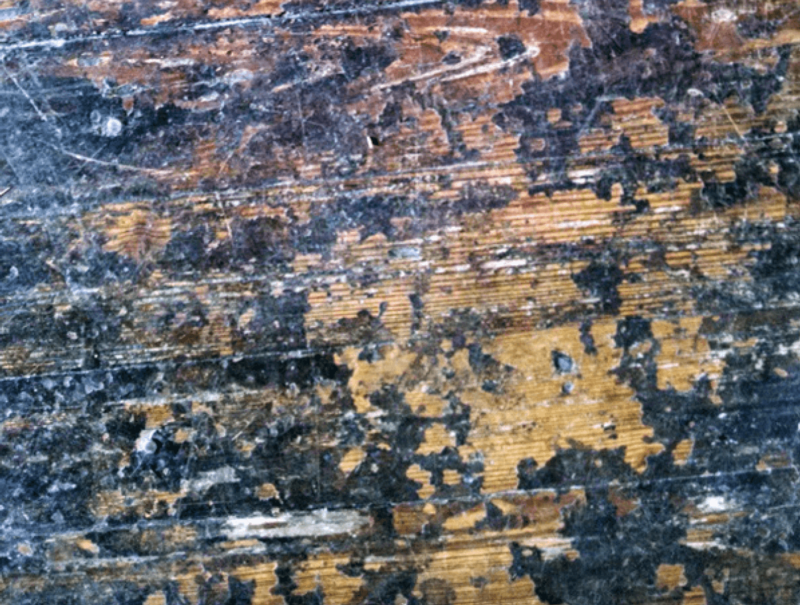 A well-used wood ﬂoor inside a Lacon Building speaks to the longevity of the community. A large truss bridge built in 1939 marks the spot along the Illinois River where Lacon is located. Originally serviced by a ferry, Lacon is the county seat of Marshall County and houses a small but quaint downtown. Lacon’s riverside location led to the development of several industries in the 19th century, including coopering (barrel-making) and the manufacturing of farm equipment for use on the prairies.